Are you thinking about starting a blog? Then you are at right place . blogging is fun as well as interesting. If you are passionate and creative in writing why not give a chance in blogging, and if you are able to build an audience then you can earn a passive income by just working from home. Blogging is a wonderful activity, whether you’re doing it for business or pleasure, and can even have a significant positive impact on the world around you. Today I am going to show you how to start a blog quickly: Everything from domain/hosting to start making money from it. If you follow these tips you’ll hopefully save a lot of time and valuable energy. At first Why start a blog? Make money while working from home: I make a part time earning from blogging and many others are making full time earnings. This is one of the best platform to express your creativity and to earn a passive income from it. Although making money blogging is harder for beginners, there is a high success rate if done correctly. Get more exposure for your existing business: A blog gives anyone–from individuals to large companies–the ability to reach a large number of people at very little cost. Become a published author: It’s no secret. These days, publishers rarely work with authors who don’t have an online presence. If the author have decent online audience then it is likely to generate more sales .The reason is simple: it’s a lot easier to sell books to people who already know you. A blog is one of the easiest places to start. Just write. If you have keen interest and want to write, share your story, encourage others and build a community, a blog is a great place to do that. It will help you make connections with more people who cares and loves your writings. 6. Design & use your blog! Choosing a correct blogging platform is the most important descision in your blogging journey. There are many services you can use to start a blog or website. You may be tempted to use a free service, but know you’ll be limited, and in some cases, quite severely. You get what you pay for, as they say. Using a paid-for service isn’t expensive. And In my opinion it is best to start with a paid service. It’s a no- brainer in my opinion. ……….What is the best blogging platform? There are plenty of available blogging platforms out there, WordPress is, by far, the most popular (source). This is for good reason. 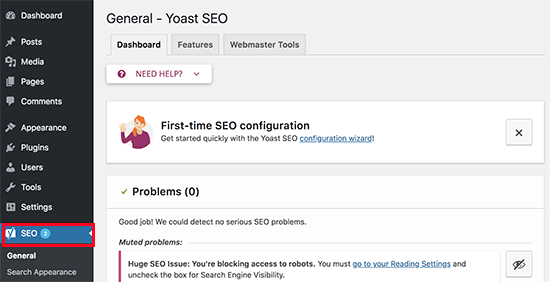 I use WordPress myself and appreciate its flexibility, functionality, ease of use and large community of people who share tools and ideas. It’s an excellent choice. And don’t worry, if you want a website without a blog, WordPress makes it easy. A self-hosted WordPress costs a little bit of money, but will give you much more control and flexibility. It’s absolutely what I recommend. Choose the plan you’d like to start with. I started with the Basic plan and now have upgraded to Plus plan . I would recommend you to start with Plus or Prime plan because you get more unlimited features. Note that all plans come with one free domain (for one year) which is good. Your domain is your web address. I’ll talk about choosing a domain in next step . If you are in a tight budget( Most of us, including me have faced this), go ahead and choose the Basic plan. You can upgrade at any time. Click one of the green “select” buttons to move to the next step. On this screen you’ll either choose a brand new domain (left side) or enter a domain you registered previously (right side). If you’ve already registered a domain name, enter it on the right (don’t worry, it won’t mess things up if you’re using the domain elsewhere, this only identifies your account for now). while registering a new domainyou is suggested to make it easy to remember and easy to share! Go with a .com whenever possible. People always assume .com before other extensions like .net, .org, .co or others. Don’t include hyphens, numbers, obscure terms or confusing strings of words. If you’re not sure what to use, your name is a safe bet to start. Be creative or try a phrase if you’re having trouble finding an available name. On the next page, enter your account info correctly. Make sure you use a working email address because this is where your login information will be sent. Under Package information select your desired plan based on how far in advance you want to pay. It is more cost efficient if you pay in advance for three years than compared to paying monthly or yearly. Should you go for extras? Fill in your billing information correctly,confirm that you’ve read the fine print and then click Submit. Continue on to complete your purchase. You’ll be asked if you want to add any upgrades. I just skip them. After completing your purchase, check your email. You’ll find a welcome email from Bluehost with your control panel (cpanel) login info. Keep this information for future reference. Select the “hosting login” (not webmail login) tab if it’s not selected already. Use your Google account to login or enter your cpanel login info from the welcome email. Next, go to the registrar where your existing domain is currently registered (Namecheap, GoDaddy, etc.). You will need to enter the above information in the appropriate place. This varies among registrars so I recommend you contact them for help them if it’s not clear. Now you’ll get a window that looks something like this. Click the Continue Installation button to begin the WordPress installation process. On the next screen, choose the domain you want to install WordPress on. If the domain you chose during signup doesn’t automatically appear, simply click “Domain” and you can select it from the list. Leave the directory field blank. Click Next. Enter your Site Name or Title (e.g. Pratik Kafle, Pratik’s Blog, OneTechMinute, etc.). This is different than your domain which ends in .com or something similar. You may also be given the option to choose an Admin Username (do not use “admin” as your username). Choose a password. These will be what you use to login to WordPress once it’s installed. After WordPress has been installed, you should see the indication that WordPress was installed successfully. Take note of the information to access your new WordPress site. This information will also be sent to you via email. Now. Before proceeding.. let’s look back ath the steps. Until now you will have received two welcome emails. The first is the login info for your Bluehost hosting account. The second is the login info for your WordPress account. Keep both, although from this point forward, you’ll be using your WordPress login information much more frequently. Congrats. Now You have successfully created a blog. Whether you registered a new domain or transferred an existing one, you will know you have been successful if you can type your domain into any browser and your site appears. Step 6. Design & use your blog! Congratulations! You are now the proud owner of your self-hosted WordPress site. There are many things you can do at this point. Blogging is about learning as you go and tackling things as you move on. Now you’ve set up your blog, it is time for you to write your ery first blog post. This is not very attractive to your potential audiences. Customizing the look and feel of your blog is by far one of the most important and rewarding part in the journey of creating your WordPress site. There are thousands of pre-made WordPress themes that you can install on your site. Some of them are free, while others are paid. With free themes you will get much more features while with the paid premium themes, you will have the whole control on your theme as well as you will get security updates regularly. You can change your theme by going to your WordPress dashboard and clicking on Appearance » Themes..
On the next screen, you will able to search from the thousands of free WordPress themes that are available in the official WordPress.org themes directory. You can sort by popular, latest, featured, as well as other feature filters (i.e industry, layout, etc). when you have found the theme you liked , bring your mouse on it, and it will show the Install button. Click on it and wait for the theme to be installed. After that, the install button will be replaced with an Activate button. You need to click on it to Activate the theme. 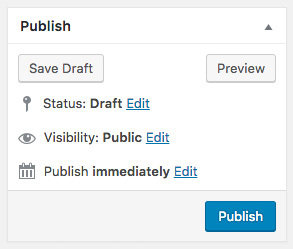 After you finished writing ,go ahead and click on the Publish button on the right to publish your first blog post to the world. You will be asked to provide your information and website URL. After that, you will be provided with your Google Analytics tracking code. 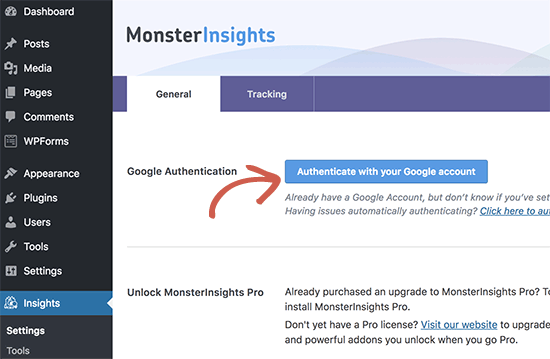 Now go back to your WordPress admin area to install and activate the MonsterInsights plugin. It is the free version of the best Google Analytics plugin for WordPress, and it is the easiest way to add Google Analytics on your site. Most beginners don’t optimize for SEO when creating a blog. SEO or search engine optimization helps users find your blog in search engines. If you want more traffic, then it’s important that you optimize your blog for SEO from the beginning. The plugin comes with a quick configuration wizard to help you walk through the set up. There are actually a lot different ways to monetize your blog. However as we all know that money doesn’t grow on trees , earning money online is not so easy so there is no such thing as a get rich quick scheme. There are several methods to earn money from your blogs . You might already have googled so many other sites and articles. Well here this guide is to make online earning simple and effective as possible . The methods listed below are 100% legit and I’m using it right now. Here are some of the best ways to make money from your WordPress blog. Google Adsense is a popular advertisement product from Google. It lets you monetise your website blogs or videos. All you need is a blog with quality contents if you have your own blog or website and you got good traffic then you can use Google Adsense to your blog or website and make some money . With AdSense, you can earn a lot of money but it depends on traffic. If you are the just beginner and you don’t have so much traffic, then you need patient for traffic first before making money. Once you get a good amount of traffic then you can make $100 -$500 a month. No one can say how much we could make through AdSense it all depends upon ad clicks and traffic you got to your site. If you could provide good content and are able to attract more traffic to your blog or website you can earn more than $1000 per month and even $1000 per week. Every thing depends on traffic, clicks on ads. The next best way to earn money online is by promoting and selling others product or services from your site. 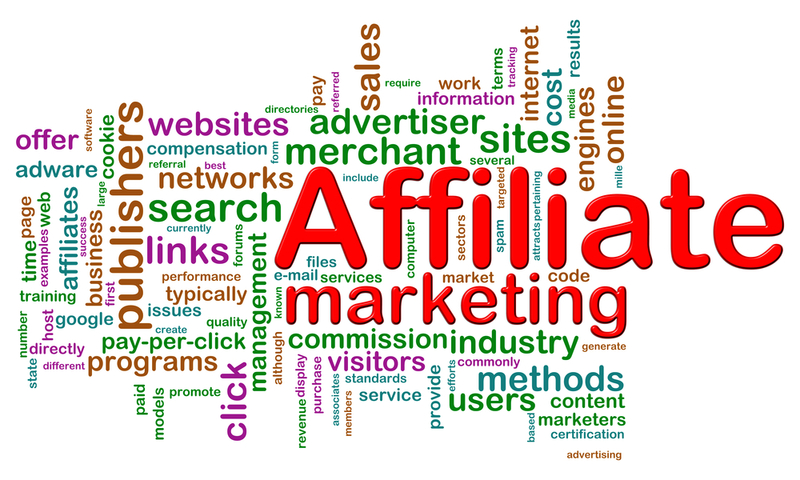 There are lot of Affiliate Programs around in internet. You get paid commissions when someone buys or uses the products or services from your affiliate link. There are the lot of affiliate network and you can join them and make money from the affiliate program. it depends on traffic and number of sales that you made. This is also the same thing as offline shopping just think you the agent and your selling goods online. People are making $500 – $1000’s in day month or year. All of these are Affiliate programs. All you have to do is to Sign Up for Affiliate membership and paste the codes or links on your sites and focus on increasing your traffic. If you do it in right way you can make tons of cash sitting in comfort of your home. Many people who are using hese programs are earning more than 500$ in a day month.. Just build your website, Get Traffic and wait your bank account to be increased . Below are the answers to the most frequently asked questions about creating a blog. Yes, there are various other blogging platforms available like Blogger, Squarespace , Tumbler etc. but WordPress is by far the best solution in the market to make a blog with complete ownership and freedom. Can I create a blog without hosting? The cost depends on the add-ons that you buy. Also the hosting provider you choose may results in difference in costs . Yes. You can make your WordPress blog private and hide it from the internet. If you want to have a public-facing blog but want to remain anonymous, then you need to make sure that your domain has WHOIS privacy turned on. Often people use a pseudonym / nickname to write under. You should also create a unique email just for your blog. It goes without saying, don’t post your pictures or anything on the blog. Lastly, If you have any questions related to this or if any problem occured during following these steps feel free to contact us through this contact form .. I will be happy to help my readers on getting started on wordpress. Ihope that you found my tutorial on how to start a WordPress blog to be helpful. If you liked this article, please share this so that your friends so that they can learn more about how to start a blog . You can also find us on Twitter and Facebook.